I have no idea what to expect from this. 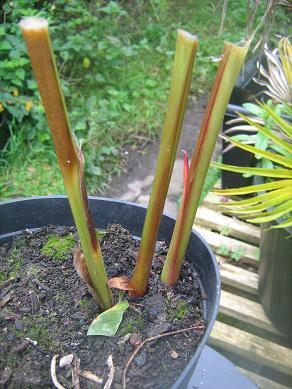 The name is an old synonym of H.gardnerianum, and although the old canes had been cut down when I got this, even the stumps show that this is not H.gardnerianum. 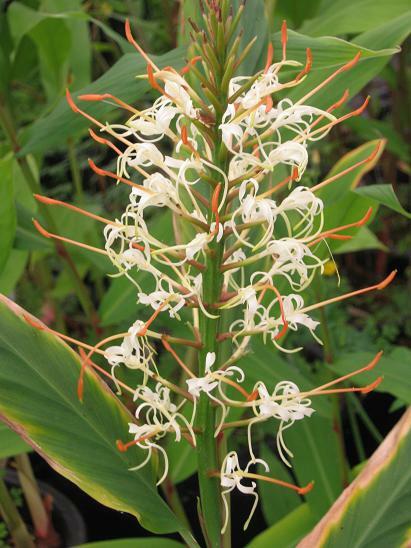 Now that it has flowered it would seem to be H.gracile.